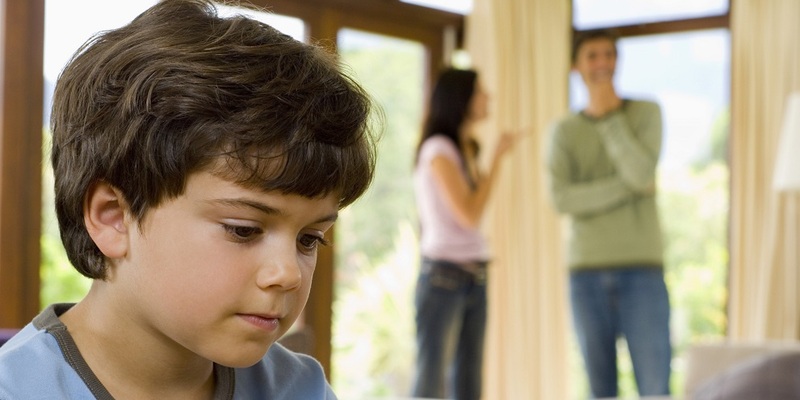 Divorce can be difficult for a couple, but it is not even easy for a child to endure. Though it can affect the child adversely in any age, there are a few sensitive points when it can cause the most devastating effects. To understand this concept better, we have mentioned how divorce affects children of different ages. Any kind of changes that the child suffers during this time can leave a long-lasting effect. The points mentioned below in this article will help you and offer better and elaborative knowledge about the whole concept. Even a baby can easily feel when something is not right at your home, even though they are unable to express it in words, but they can sense all the trouble. The child of divorcing parents can grow up to be extremely nervous and depressed especially around the people they don’t know. The baby might easily have frequent outbursts and might become irritable in the slightest of issues. Also, the appetite of the child might reduce or may suddenly get lost. This is the reason why you need to think twice to get a divorce after baby. These children are between the age group of eighteen months to three years. In this age the main bond of the child is with their parents and divorce can lead to them being affected emotionally and dealing a bit of other crisis as well. They can easily sense the absence of a parent and can be affected by it adversely. The child starts to feel responsible for the breakup and thinks it is entirely their fault that their parents have to go through this situation. The child feels heartbroken and is not able to cope up with the loss that he is thrown into. Friends groups start to replace parents as the center of their life when the child reaches this age group. But still, a good life is important for the kid for their overall development of mind and body. During this age group, the child might feel abandonment and even start hating their parents and blame them for the split. It is important for the parents to assure the child that they are loved and taken care of. Also, it is required that child should be properly taught that none of the parents is responsible for the divorce and it is what it is. As soon as the child reaches this age group, they began to search for their own identity and are also sometimes struggling to go away from home. Even though they tend to have some distractions at this age, still they will feel hurt and angry when they seem to know about parent’s divorce. No matter the age of child when parents divorce they will feel hurt. But as a parent, you need to properly take care of them and explain the whole situation for them.